Enjoy the shores of the beautiful Atlantic Ocean in South Florida when visiting Highland Woods RV Resort. 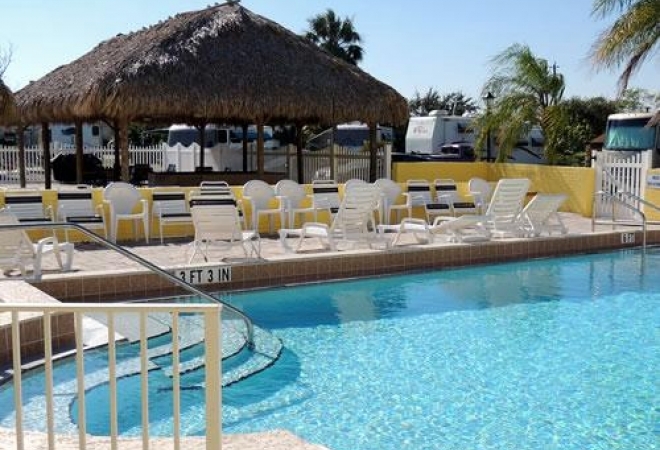 Located in South Florida's Pompano Beach, we're a tropical RV resort boasting spectacular amenities and activities. Relax at the pool, play a game of horseshoes or snuggle up with a book at the library. A variety of local activities are available within minutes of this Fort Lauderdale RV park. Deep sea fishing, dining, shopping, gaming and golf are all popular pastimes among our guests. Our sites can accommodate motor coaches up to 40 feet, and all 147 sites feature full hook-ups. We also offer daily, weekly, monthly, and annual rates. Come and take in the sights and shops of South Florida or stroll along our miles of beaches while enjoying the warm tropical breezes of the Atlantic Ocean.